The Firstborn Syndrome will reveal the secret behind the mysterious antediluvian syndrome that has paralyzed human race since the Creations. Enemy violently waging war against humanity and everything the LORD made first. Understanding our ancestry can momentously transform our lives and generations. 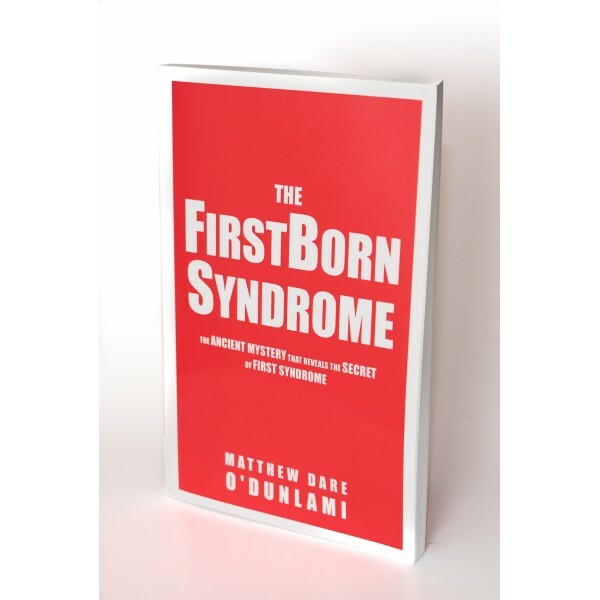 The Firstborn Syndrome will reveal the secret behind the mysterious antediluvian syndrome that has paralyzed human race since the Creations. Enemy violently waging war against humanity and everything the LORD made first. Understanding our ancestry can momentously transform our lives and generations. The First things that were created both physical and spiritual will require the second to be perfected. He takes away the first that He may establish the Second. (Hebrews10: 9b). The ancient mystery that revealed the hidden truth of First Syndrome will engage and reposition you to know your worth in Christ Jesus and to enjoy the full inheritance through His Divine Design Power that He has bought for you. It is about your original purpose in life, and about the existence of that purpose, behind your creation, the meaning of your life through His Blood.